Looking for welding supplies in the Bathurst area? 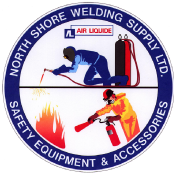 North Shore Welding Supply Ltd has the welding materials you need along with products such as industrial gases, lubricants, safety supplies and more. We serve local residents working on do-it-yourself projects as well as commercial businesses and contractors in the area. We are the largest welding supply shop in town, and we are open 6 days a week! We also keep our phone lines available 24-hours a day in case you have any emergency needs. Besides stocking welding products, we have technicians on staff that can complete repairs to various welding equipment. Our team also offers recharges for propane tanks and fire extinguishers, and we can provide hydrostatic testing. Find the welding supplies you need.